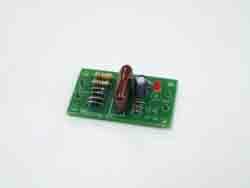 • A small power supply circuit that does not require any transformer. • Power supply: 220 VAC. • Output current: 50 mA.max. • PCB dimensions: 1.98 x 1.16 in.